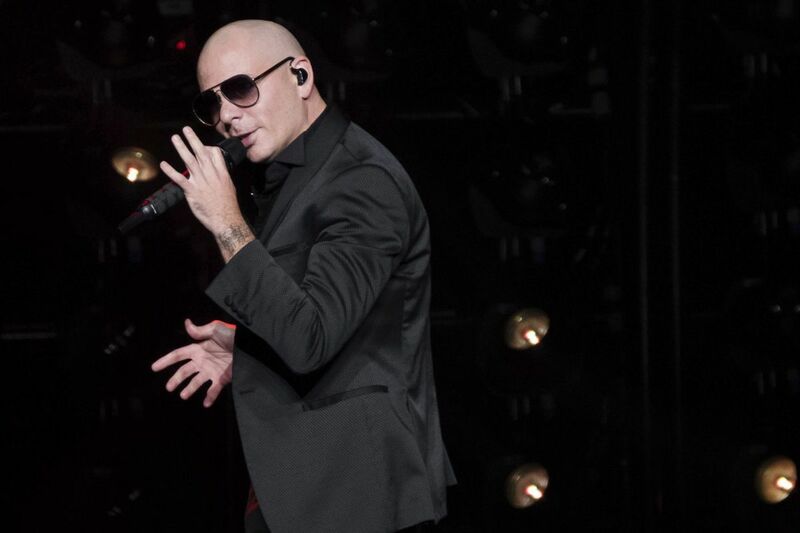 FILE – In this June 30, 2017, file photo, Pitbull performs in concert at Madison Square Garden in New York. Rapper Pitbull will headline the Wawa Welcome America Festival's free July 4th concert on the Benjamin Franklin Parkway this year, organizers announced Monday. The Philly POPS Big Band will also return to the Party on the Parkway for 2018, joined by Broadway star Heather Headley, a Tony- and Grammy-winner who is known for her role as Nala in the original 1997 Lion King stage show. Pitbull, also known as Mr. Worldwide, is a Cuban-American rapper out of Miami who is known for hits such as "Don't Stop the Party," "Timber," "International Love," and "Give Me Everything." His latest album, Climate Change, was released in 2017. Philly's Independence Day festivities are scheduled to run June 28 through July 4, and end with the Party on the Parkway, which includes a free fireworks display and concert in from the of Philadelphia Museum of Art. The July 4th event is currently scheduled to begin at 7 p.m.
Last year's Parkway concert featured a performance from the Queen of Hip-Hop Soul, Mary J. Blige. The POPS, who first played the festival in 1993, performed alongside Hamilton's Mandy Gonzalez and jazz musician Tony DeSare. Missing from the list of headliners so far this year is Philadelphia's own The Roots, who last performed at the festival in 2015. The group began performing at the festival and curating musical guests in 2009. As Inquirer music critic Dan DeLuca wrote last year, Philly's Fourth of July party been missing the group sorely ever since. Further details including additional events, performers, and set times will be announced as the Wawa Welcome America Festival's start date approaches.